October has arrived, the leaves are turning, and I am headed east. The U.S. hardcover of THE WORLD OF ICE & F IRE is scheduled for release on October 28, and Bantam is bringing me to New York to help launch it. I will be making an appearance on the Seth Meyers show on Tuesday, October 28 and doing an event at the 92nd street Y with Laura Miller on Sunday,October 26. Tickets for the latter are still available, but they are going fast, so if you want one, move quickly. 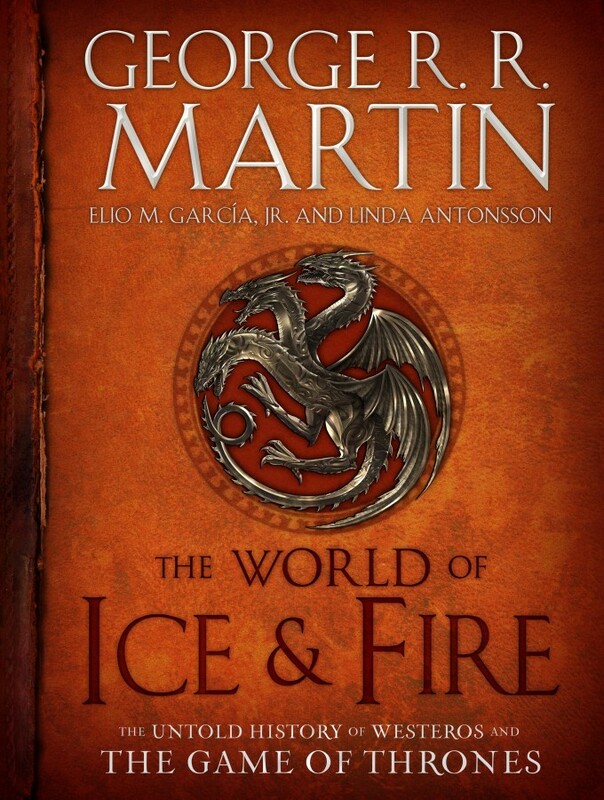 I will be signing a thousand copies of THE WORLD OF ICE & FIRE for the Y, and the ticket price will include the autographed book. ((Sorry, no plans for other signings while in the city)). I will also be turning up in Providence, Rhode Island on this trip. Brown University is honoring me with the Harris Literary Collection Award, and I'll be attending a dinner there on October 23 to accept. My friend Tom Doherty, esteemed publisher of Tor Books, is also being honored. It will be a real delight to share the journey, and the moment, with Tom. Brown students will have first dibs on tickets to that one, I am told... I'll add a link here as soon as I have one. ((Never been to Providence before, aside from speeding through it on the Acela. If I have time, I will try to make a pilgrimage to H.P. Lovecraft's grave, which I believe is required of anyone who has ever written horror)). Re: New York Comic-Con on October 9th? I know that I'm no GRRM, but I'll be at NYCC covering your panel (and a couple other GoT ones) for watchersonthewall.com! Any chance you're going to MootCon3 Thursday night? I'd love to meet some other site admins!